Kimono & Chibby Chan Save The World is a video game based on the cartoon series of "Kimono & Chibby Chan". The game is an homage to the old arcade-style video game Donkey Kong. Unzip and run the exe. Every week on WARP ZONE TV Molly & Erik explore the wonderful world of video-games as part of Future Vision Amsterdam TV. Tune in every Wednesday on SALTO 1 (UPC Digital channel 32) from 18:00 - 19:00, or check back for online vids here on The Chibby Channel. Chibby Channel is very excited to be presenting to you an Interactive Point and Click Adventure Game on YouTube. 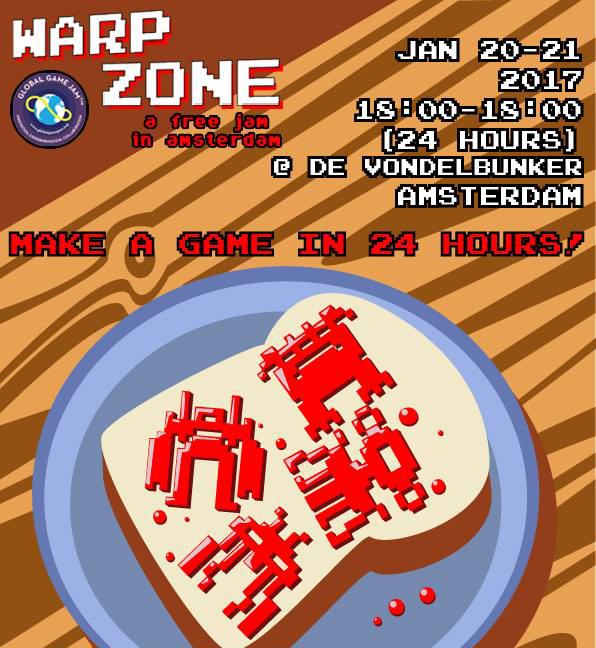 The game was created during the Warp Zone Free Game Jam in Amsterdam which includes 6 endings, music, interviews and over 20 screens for you to explore. Just Press Play on the Video Below to Start The Game! that was created by all participants of the jam "Warp-Zone: A Free Jam in Amsterdam". 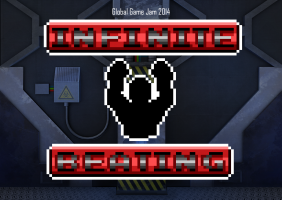 6 artist worked on the art for Infinite Beating, giving it a uniquely mixed style. Looks include pixel art, watercolour painting, vector, digital painting and 3D. Instructions: Download the game (choose "Keep" if prompted) and run the exe. Crap! I’m Broke is a hectic life management game with a Cubist art style. Do mini-game style jobs (like scrubbing dishes and flip burgers) to avoid eviction and keep starvation at bay. A classic FREE Game by Arcane Circus. Battle it out or make beautiful music together. The choice is yours! What strange creature lurks in the forest? Vids from Warp Zone Game Jam, Events and Games.